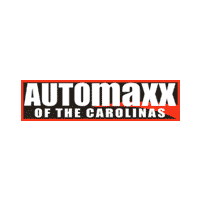 Automaxx of the Carolinas is committed to providing top notch customer service. Our service team members are here to care for your vehicle and get you safely back on the road. Whether you’re interested in getting an oil change to help prolong the lifespan of your engine or you noticed another concern, let our professionals help! Don’t feel like traveling to Savannah Hwy to have you warranty work done? Our staff is capable of handling any extended warranty work for any make and model. Our staff works directly with warranty companies, like AUL and others, to provide quality work at a quick turn around. This facility has the tools and equipment needed to get to the source of the problem without needlessly spending your time and money trying to figure out the cause of the issue. Our technicians are certified to work on a range of automotive brands so use our online form to schedule an appointment no matter what kind of car you drive! Regular auto maintenance is the easiest way to keep your car running smoothly. Unfortunately, some people skip out on having their vehicle regularly serviced because they are worried about time constraints. The truth is that regular vehicle service helps you save both time and money in the long run. It is a lot easier (and cheaper) to take care of a part than it is to replace it. That is why we make getting your vehicle serviced a breeze. Our team of highly knowledgeable technicians will have you in and out of our service center before you know it. They know just what your vehicle needs to keep it in the best possible shape. If your car is in need of some service, we are here to help you out. Scheduling an appointment online is easy, thanks to our convenient service request form. You can also give us a call at (888) 687-4419 to set up an appointment, or even come set one up in person here in Summerville, SC. Schedule an appointment with us today; your vehicle will thank you. Even though we work quickly and efficiently to get you back on the road again, we want you to know that we would also never sacrifice quality for speed.